Boxwood and Magnolias make for a pretty summer mantel. 1. I've always been a flower child. Flowers just make everything better, so with that being said, fresh floral arrangements are my number 1 secret. Having fresh flowers in the house just makes me feel special. It dresses up the table or counter, brightens up the house, and just gives me a good feeling. I try not to wait for a special occasion to bring fresh blooms into the house. Any time is perfect for me. Luckily I have a sweet husband who knows to bring flowers home every now and then. It's the little things, you know? 2. Lighting. You absolutely MUST have lamps in the house, and they MUST be pretty. I think my love for lighting comes from growing up in Seattle where it's very gloomy all winter. Lots of cozy lighting just makes the long dark days more bearable. 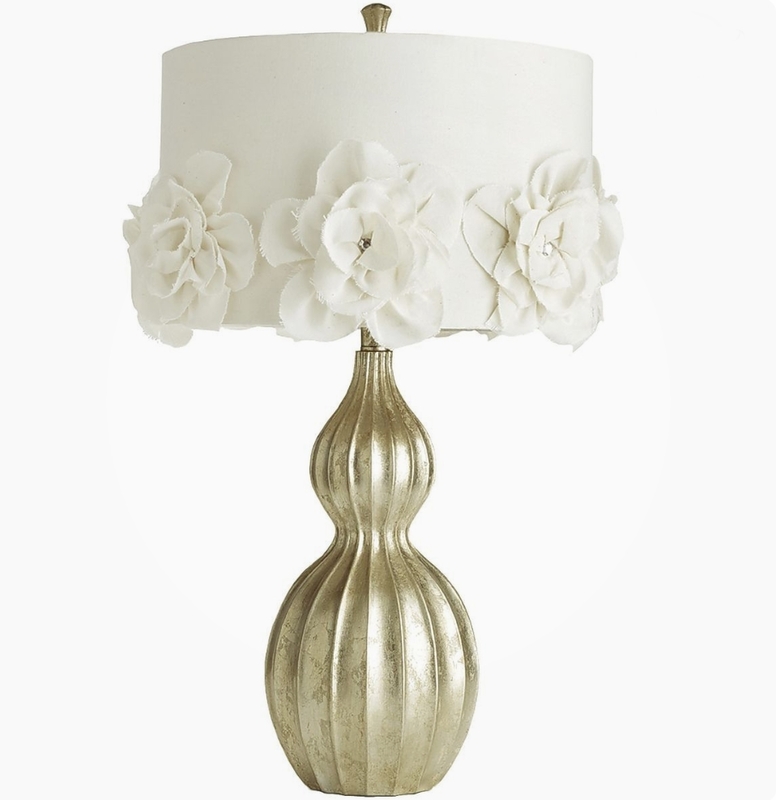 I've had this table lamp with the floral shade for several years now, and it was completely worth the splurge. It is so beautiful, and really dresses up the room. 3. My 3rd and final must have: greenery. I love a pop of green throughout the house. This boxwood wreath is my FAVORITE and I keep it up year round. It reminds me of living in an English cottage in the countryside.